What Causes Snoring and Is It Bad for My Health? Help! 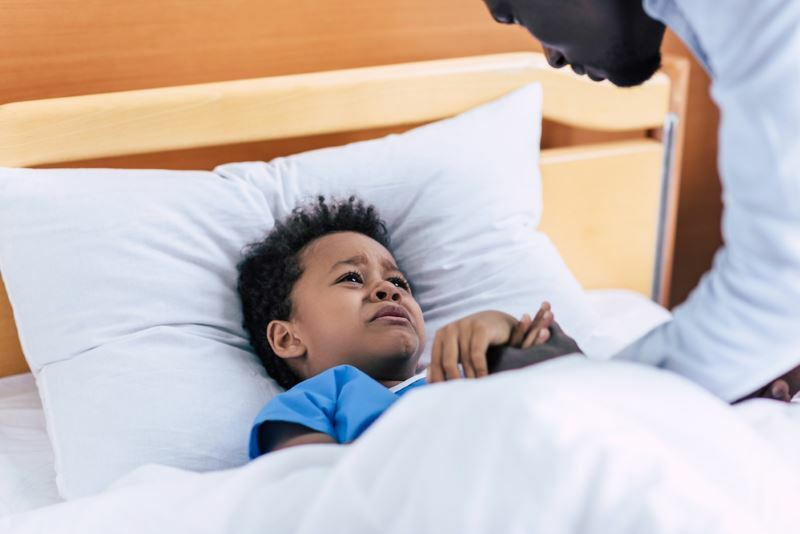 My Child Is Having Trouble Sleeping… If you are a parent, then you know that bed time can be a struggle, especially if you have two or more children. Since kids sleep habits can vary there is a point in life when most parents have to deal with a child who won’t sleep. My Child Is Having Trouble Sleeping! Sometimes a child can’t sleep because they are dealing with a problem, real or perceived. Other times the child may be acting out and is just being stubborn. Sleep has become a victim of today’s fast-paced world. Children need sleep to grow and develop. Get your own copy of the “Children and Sleep” fact sheet. Why Is Getting Enough Sleep Important? Getting the good quality sleeps helps your child’s mind and body stay healthy. When your child gets the proper rest, he or she will be healthier and have a normal development process. As a parent, you should encourage healthy sleep habits. To grow properly and succeed in daily life, your kids need sleep, and each age group has a recommended amount of sleep that the children should get. Getting the right amount of sleep is not just about how many hours your child sleeps. It’s also the quality of that sleep that they get on a regular basis. You have noticed that your kid can’t sleep, and you are possibly starting to worry. Most parents understand how important a sufficient amount of sleep is to the growth and development of their child(ren). Kids sleep habits are affected by age, with some age groups having more sleep problems in children than others. As a parent, you may find it helpful to know some of these problems and how to combat them. One of the main tasks of an infant is to grow. Over the course of the first year of life, an infant’s body is growing. As your baby begins to a mature and their brain develops sleep is very important. To do this, an infant needs a lot of sleep. In fact, most infants sleep anywhere from 12 to 16 hours a day. Some do sleep less or more, but any amount of sleep below twelve hours can lead to a cranky baby. Why Don’t Babies Sleep at Night? To a mom having a baby represents a whole new way of life filled with changes and responsibilities. Like you mom, to your baby everything has changed. Your baby has spent the last nine months inside your womb, a safe and comfortable place. Now that your baby has been born it now has to deal with a whole new world. Now his or her world is full of an assortment of new and unfamiliar sights and sounds. Your baby has a lot to deal with from getting use to night and day, new people, and places. Even how your child eats has changed. All these changes are more than likely contributing to their sleep troubles. Sometimes, an infant becomes too tired to sleep. This results in more irritability and crying. Keeping the infant on a loose sleep schedule can help prevent this. Also, having too much stimulation may prevent an infant from sleeping. Because the infant is unable to process all that is going on. Although all infants are different, allowing your baby to relax before a nap or bed can help. Doing this can help ease any tension your baby might be feeling and allow your baby to begin to fall asleep. Why Can’t my Toddler or Preschooler Sleep? Toddlers are still growing, but not nearly as much as infants. Toddlers are learning new skills, including some mental tasks and some physical tasks. Most toddlers learn to walk and talk during this time, and that requires a lot of energy. To keep up with this energy output, most toddlers should sleep eleven to fourteen hours a day (pre-schoolers 10 to 13 hours). Sleeping for less than nine hours may may not be enough. Like infants, toddlers often become overtired and unable to calm down because of this. The same may happen when a toddler takes in too much information at one time. Why Is My Toddler Not Sleeping through the Night? There are many reasons your toddler might be waking up at night. First of all, you will want to rule out whether your toddler is sick or any other health related issues. Things like colds and stomach aches will generally prevent a child from sleeping. As a parent you will want to also back-track and check to see if anything in the family has changed is the problem. Major life events, like moving, starting preschool, divorce or a new baby. These types of events can all cause trouble sleeping for your child. How Can I Get My Toddler To Sleep? To fix this, keeping a firm sleep schedule is vital. Having a set bed time and nap time(s) will teach your toddler when to sleep and will ensure your gets enough sleep. Changing the time your child goes to bed whether a little later or earlier could resolve the issue. If your toddler takes a nap during the day you could even try getting rid of nap time. Ensure that his or her room is comfortable for sleeping. If the room is too hot or cold this could cause problems. It may take some experimenting on your part to find the cause. How Many Hours of Sleep Should a School-Age Child Get? Children in this age group function better when they get nine to eleven hours of sleep. school-aged children who sleep less than seven hours will generally have sleep problems. 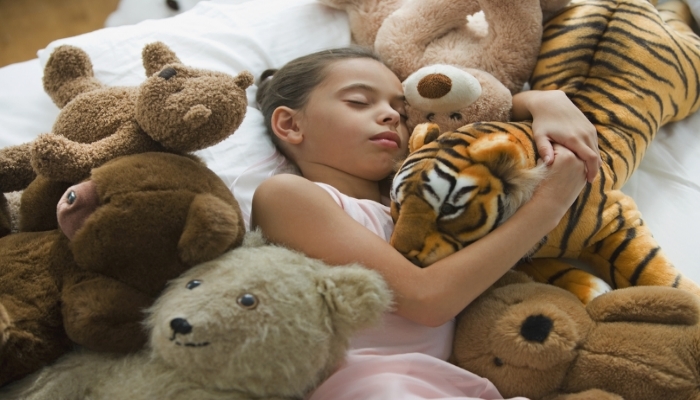 According to researchers, school-age kids are the largest group to have trouble sleeping. School-Aged children are learning to have a since of independence. This is also the group that is more likely to refuse to go to bed. What Causes Sleep Problems in School-Aged Kids? The stress of school can also keep your child from getting to sleep. Although kids are still growing, school can put a strain on them mentally. Children are also learning many new facts in school. During this time, children are learning memorizing, thinking and reasoning activities. Achieving these cognitive milestones, helps them learn how to process another person’s perspective. Sleeping helps a child remember this information and develop. As a result, most children will need nine to eleven hours of sleep. Electronics also prevent children from sleeping. Too much television or video game playing can also create sleeping problems. This can be especially true if it is too close to their bedtime. 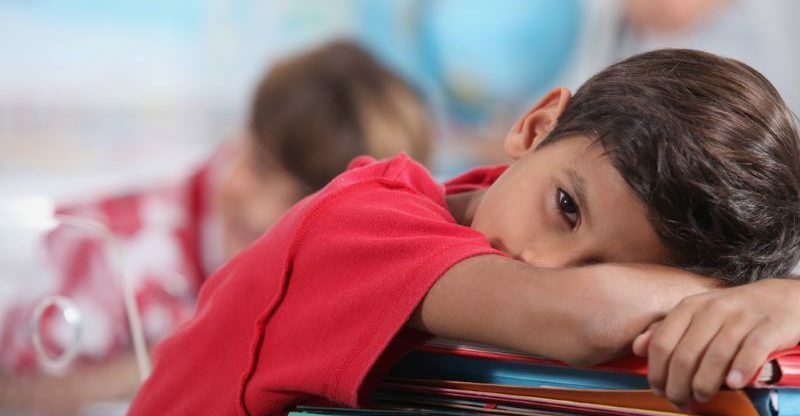 Children may have problems sleeping if they worry about something going on at school. Homework or an upcoming test could be bothering them. Also, be aware that things happening within your household will have an impact on how well they sleep. How Can I help My School-Age Child Sleep Better? Help them maintain consistent and strict Bedtime schedule. Curve the use of electronic devices, especially before bedtime. 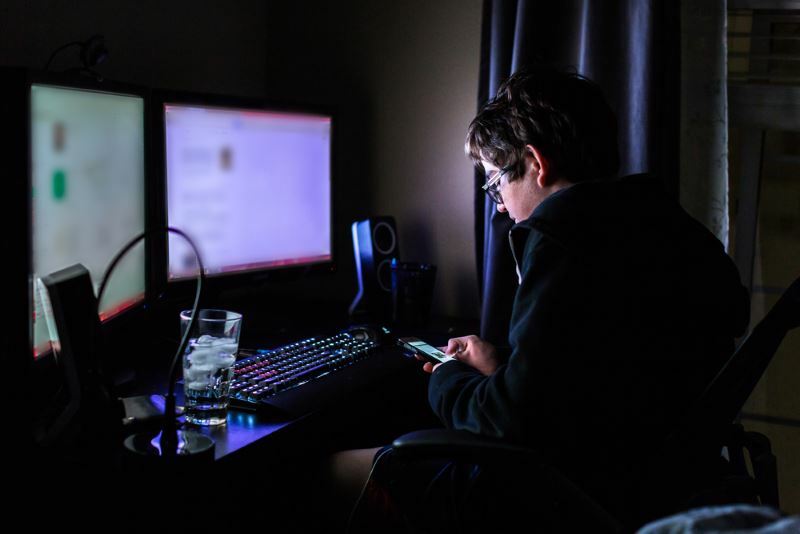 Studies have shown that the blue light emitted from electronic devices affects sleep. Ensure that their bedroom environment is conducive to relaxing and falling asleep. Remove or shut-off anything that might be contributing to the problem. Be on the alert for things going on at school. Be ready to help them out with school related stressors. As a parent of a teen, at some point you know that they don’t always get the sleep they need. In fact, researchers have found that of the millions of teens surveyed, few of them get enough sleep. It’s important for teenagers to consistently get the right amount of sleep. If they are to develop the skills and growth vital to a healthy and successful adulthood, they need sleep. Ideally, teens should get eight to ten hours of sleep every day. Like children, a teen who sleeps less than the recommended hours may not be getting enough sleep and can become sleep deprived. Does My Teen Have a Sleep Disorder? Most teens struggle with sleep because of their very hectic schedules. With school work, extracurricular activities, and interpersonal relationships, finding sleep can elude them. Doctors define insomnia as trouble falling asleep and staying asleep through the night. We all can have trouble sleeping sometimes. The problem is when it becomes chronic and begins to affect are lives. A teen or adolescent can develop sleep problems. Some may develop insomnia or other sleep disorders. If it is temporary it can eventually go away. If the insomnia becomes chronic they should seen by a doctor. Other sleep disorders such as sleep apnea, narcolepsy or RLS must be diagnosed and treated by a doctor. A visit to the doctor’s office may be required. You can help your teen sleep better by helping them set a homework schedule. One that does not involved them being up too late at night. Help them understand that a consistent study routine is better a late night cram session on any day. You can suggest to them that they take a warm or hot shower just before bed, which may help them relax and fall asleep. It might be wise to speak to your teen about priorities and what’s important in life. Help them understand that… yes relationships are important, but not at the expense of their sleep. If their friends are keeping them from sleeping maybe they need to find some new friends. But don’t force this conversation, your teen may begin to act out and upset your happy household. Finally, make sure that their bedroom area is right for sleeping. The room should be comfortable not too cool or too warm. It should be quiet with no distractions. Their should be no televisions, video game consoles or computers. You may also encourage your teen to consider using an eye mask, earplugs or even a sleep sounds app to help relax. Sleeping is one of the most important aspects of life. In truth, humans spend at least one-third of their time sleeping. While adults do need to sleep, sleep is much more vital to the growth and development of the young people. Without it, they will struggle with daily activities and communication. Thankfully, you, as a parent, are in a good place to help your child sleep. You can set schedules, talk about problems, and provide support to help foster a happy and healthy development.